If you have ever looked at your Mac root directory and wondered what some of those other directories are for, you’re probably not alone. Mac OS got a whole lot more complex with the advent of Mac OS X, adapting a unix file structure that is largely unfamiliar to Mac OS 9 and Windows users. So just what is /System, /Library, /usr, and all the others for anyway? Here you will find a brief overview of these directories, as well as an explanation of each system level directory as found in Mac OS X and macOS system software. By default, if you glance in the root of your Mac’s hard disk from Finder, you’ll see some unfamiliar sounding directories. The underlying directory structures of Mac OS are best revealed by visiting the root directory of the Mac, which many Mac users may encounter when they visit their own “Macintosh HD”. Here you will find directories with names like; cores, dev, etc, System, private, sbin, tmp, usr, var, etc, opt, net, home, Users, Applications, Volumes, bin, network, etc. Rather than wonder at the mystery of what all these folders, directories, and items mean, let’s examine and detail what these directories are, and what they contain, as they are relevant to the Mac operating system. /Developer The Developer directory appears only if you have installed Apple’s Developer Tools, and no surprise, contains developer related tools, documentation, and files. /Library Shared libraries, files necessary for the operating system to function properly, including settings, preferences, and other necessities (note: you also have a Libraries folder in your home directory, which holds files specific to that user). You may very well find other directories as well, depending on the version of Mac OS X you have, and depending on what apps and system adjustments you have made. Nonetheless you can be sure that if any directory is at the root of Mac OS X, it is important, and shouldn’t be messed with at least without detailed knowledge of what you’re doing. Never delete, modify, or otherwise alter system files and directories on a Mac (at least without knowing exactly what you’re doing and why) because doing so can disrupt the operating system and prevent it from working as expected. Always back up a Mac before exploring and modifying system level directories. If we forgot anything, or if something isn’t properly described, feel free to chime in with comments. nice thing, though, i think you missed /private out! are three more I have that aren’t listed, are they install specific? /private should probably be on the list. actually, /etc is a symlink to /private/etc, like /tmp and /var are to /private/tmp and /private/var. Furthermore, you should point out that /private/var/log/ contains all the system logs. Now what I never understood is the real difference between /System/Library and /Library…. >Now what I never understood is the real difference between /System/Library and />Library…. As U have it understood, /Library holds preferences, fonts, screen savers and the such that are available to all users and not just /Users/auser/Library. /System/Library is more like services and extensions (similar to os 9) but very different. Thats is my guess. My question is.. where would one logically install *nix software on OS X. Lets say I want to install Image Magick. Where should I place it? mysql get put into /usr/local/ and php gets put into /usr/lib/. This lib/local stuff has me confused. > This lib/local stuff has me confused. /usr/local is used for files installed manually, such as something you have compiled. Putting them in /usr/local keeps them separate from the mess of files stored in /usr so it’s easier to manually remove the files (since there isn’t a package manager to do it for you). [quote]> This lib/local stuff has me confused. simple question: does the /usr/local/bin folder exists in mac os? This is with developer tools installed, so a standard installation may look different. Look at Apple.com to see a high level description. Where can I find /Applications /etc /Network? are these files deletable? If they are, how can I delete them? and how will this affect the OS? > they are, how can I delete them? and how will this affect the OS? In Finder, Go… Go to Folder and type /Applications or whatever folder you want to get to (shift-command-g for keyboard shortcut people). Deleting any hidden files is never a good idea unless you know what you’re doing. Deleting the /etc directory will probably make your computer unbootable at the very least. Why would you want to delete that in the first place? Does /Users/$User/Desktop exist in any Mac OS 10.x, 9.x, etc. “ls -lash /” shows me a “/home” folder on my Mac OS X.5. Is this a system created resp. for the system relevant folder or is it a folder I’ve created myself accidentally as I’m (or was :) a long-term Linux user? Would be nice of you guys to type “ls -lash /” and tell me if you have also a “/home” folder on your system. i have a /home directory, inside that i am not able to create a directory using even “root” user any clue ?. I have a huge “. ak” folder in my user home folder. What’s that? I am Using MacPro Machine and having Snow leopard 10.6.6 in my Hard Disk Folder there are same extra folder can i DELATE them? which is showing below in the list here. I’m not a dumb person (a 44 yr oldfinance executive), but man o man! I thought Mac’s were supposed to be more intuitive to work with? Simon, and they are! what don’t you understand? Every application is in /Applications, all of your files will be in /Home/Simon/* [Desktop, Documents, Music, etc etc], everything else is basically system related folders and you don’t need to worry about those now. So, that is it! ;-) pretty simple! If you’re having any doubts drop me a line, maybe i can help you. my contact is on my website under “philip”. “… I’m not a dumb person …” yet the very next sentence includes “Mac’s”. In what directory should I put SDKs like C++ Boost? Coming from the dos and windows world, I’m not an idiot. Where can I find an Apple utility that gives me the same access and information that Windows Explorer provides? Or has Apple yet to ‘develop’ that capability yet? I have a new Mac (my wife’s idea) that is frustratingly inaccessable. 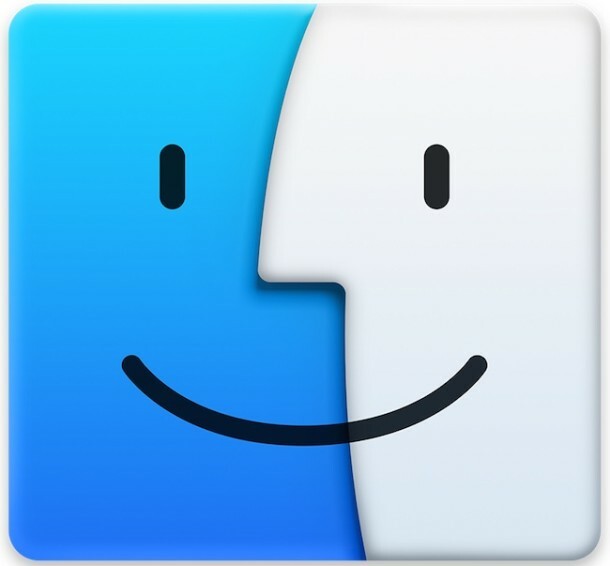 It’s called FINDER and it is part of Mac OS X, you can find it on your DOCK (blue smiling face icon). If is not enough for you than you can use Terminal or buy Path Finder (file manager with much more options than Finder). How can I see the / contents in finder?